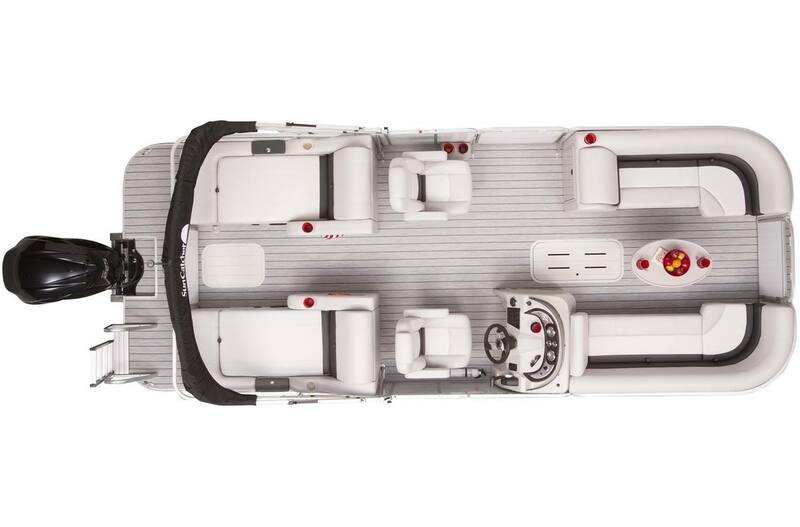 Following the success of our SS models in the Elite and X Series, SunCatcher Pontoons by G3 has introduced the V322 SS and V22 SS, both with stylish stern loungers, in the best-selling SunCatcher V Series. 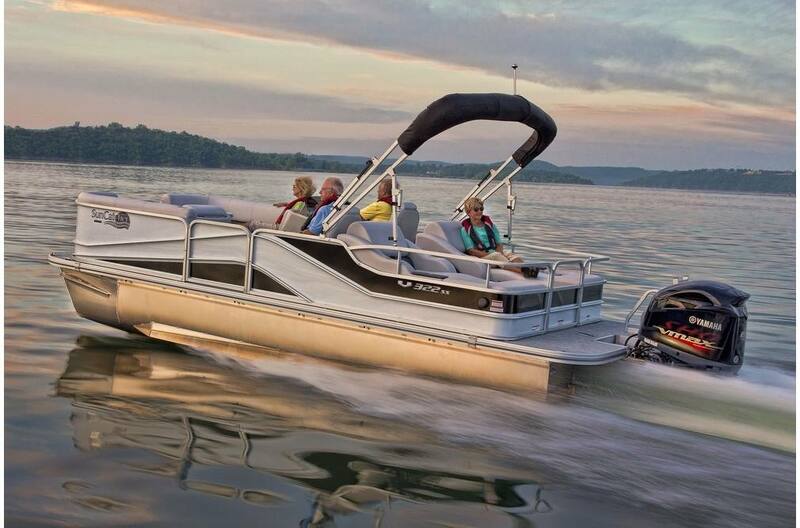 With a maximum 225 and 115 horsepower rating, these 22 1/2 foot pontoons can provide more than just a cruise on the lake...take a fast SunCatcher ride and you will understand...life is better when you're on the water. 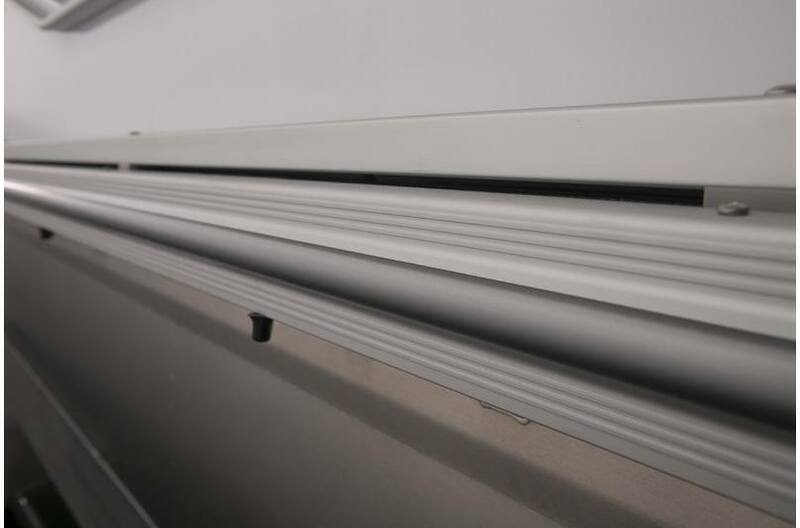 A popular upgrade is the Elite Rub Rail option for the V Series models. 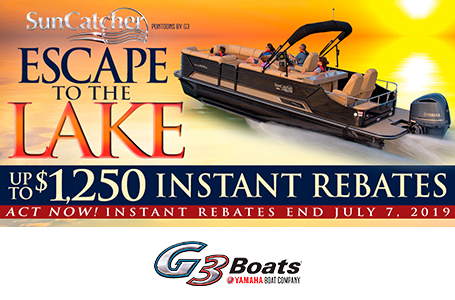 Ask your dealer for details. 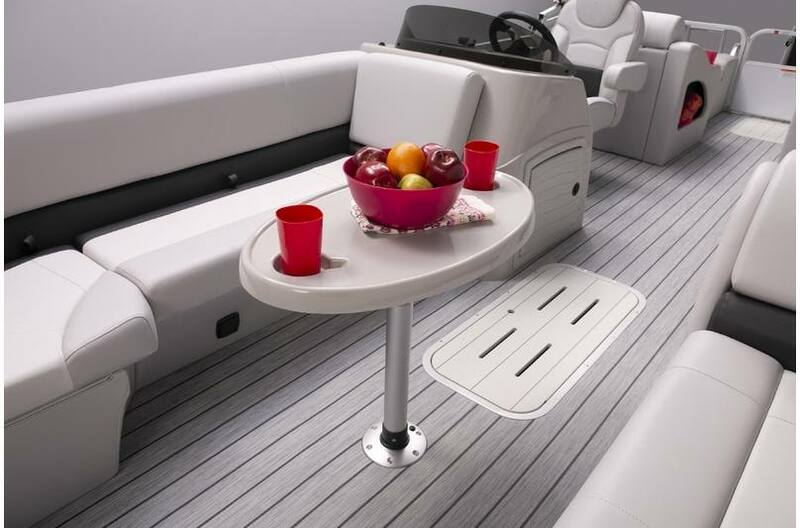 Oval table with deep cup holders and a molded lip is standard equipment and always ready for a picnic. Your favorite music sounds great with the premium Jensen stereo. 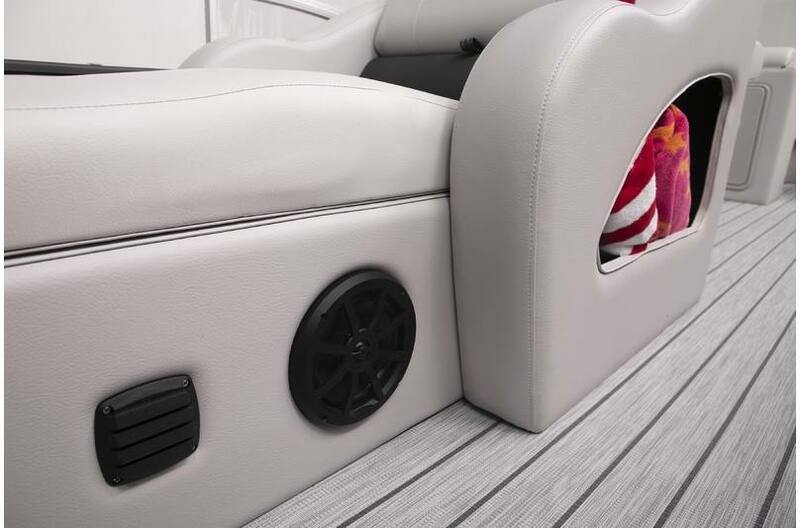 A 4-speaker sound system upgrade is optional. 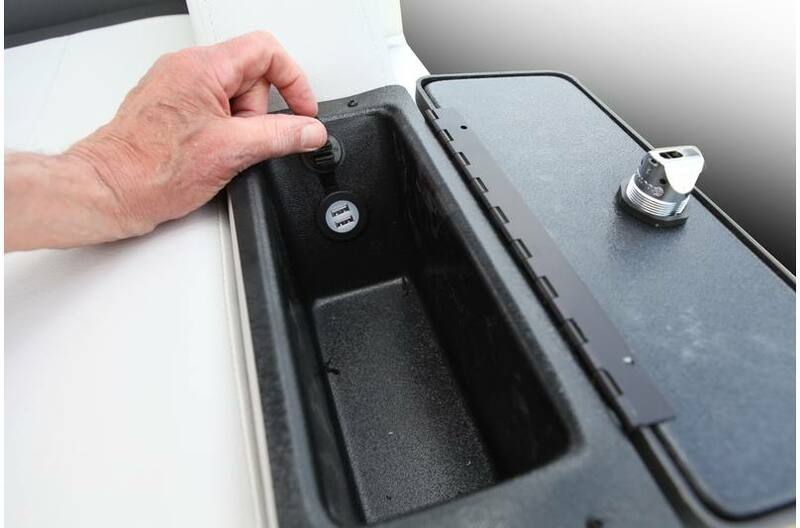 Stern lounger has a convenient USB plug-in for charging cell phone or tablet. 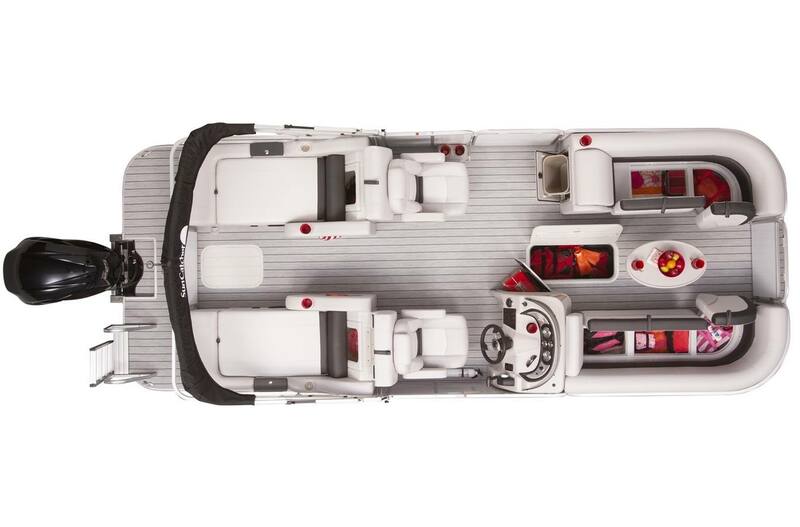 Dry Hull Weight: 2760 lb.